Five years after Hurricane Katrina, 63 percent of Americans say the federal government could have done more to help New Orleans, according to a new CBS News poll. Only 31 percent said the government did all it could do. More than half of those surveyed (52 percent) say New Orleans has not yet recovered from Katrina, while 35 percent say it mostly has. Most think it will eventually get there: 63 percent say they city will eventually recover from the storm, while 34 percent say it will not. Americans have warmed to the city: 72 percent have a good image of New Orleans, up from 49 percent in August 2006. Just 19 percent have a negative impression. 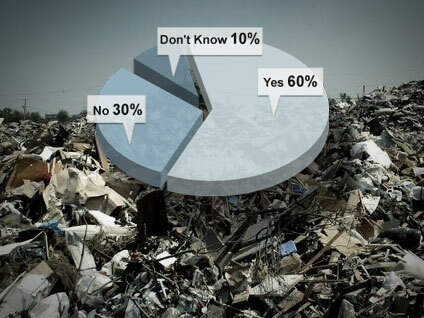 Still, 60 percent say the city should receive more government aid to help rebuild. Thirty percent say it should not. Asked to choose the biggest factor in causing the massive damage to the city, 34 percent pointed to poor construction of the levees. Twenty-four percent chose poor handling of the emergency, while 21 percent said lack of services. Seventeen percent volunteered that the cause was a combination of all three factors. Most Americans say the federal government is not ready for another Katrina. Just 34 percent say there have been adequate preparations for another storm of that magnitude, while 59 percent say the federal government is not ready. Fifty-five percent say the race of New Orleans residents was not a factor in the slow response to the storm five years ago. Nineteen percent say it was a major factor, and 21 percent say it was a minor factor. These numbers are largely unchanged from five years ago. Americans are split on whether Katrina or the BP oil spill will ultimately cause more hardship to people in the Gulf region. Forty-four percent say Katrina will cause more hardship to Gulf residents in the long run, while 49 percent say the oil spill will cause more hardship. More than seven in ten say the region will eventually cover from both the environmental and economic damage caused by the oil spill. But most (53 percent) are not very confident or not at all confident that BP, which has established a $20 billion compensation fund, will fairly compensate those affected by the spill. Just ten percent are very confident the company will do so.